Have you every measured the readability of your writing? We’ve all had a text to read where we didn’t understand a word it said, no matter how many times we read it. Readability is the ease with which a reader can understand a written text. You may have been perfectly smart enough to understand your biology textbook, but the readability of the information presented may have been above your level. But how do we take these parts and actually determine readability? There are a few different methods. Rudolf Flesch developed the Flesch Reading Ease Test in the 1940s. It uses a mathematical formula to determine how easy a text is to read. A higher number means a text is easier to read; a lower number means it is more difficult. Flesch’s work had a huge impact on increasing readership, especially in journalism. 100.00-90.00 Very easy to read. Easily understood by an average 11-year-old student. 90.0–80.0 Easy to read. Conversational English for consumers. 80.0–70.0 Fairly easy to read. 70.0–60.0 Plain English. Easily understood by 13- to 15-year-old students. 60.0–50.0 Fairly difficult to read. 30.0–0.0 Very difficult to read. Best understood by university graduates. The above chart from Wikipedia breaks down the readability scale. In 1975, the Flesch Reading Ease Test was refined by J. Peter Kincaid as part of an effort by the United States government to improve the readability of technical documents. The Flesch-Kincaid Grade Level Formula presents the score as a U. S. grade level. A score of 8 means the the material is understandable at an 8th grade or above grade level (but a 6th grader might have difficulty with it). Because the total words, sentences, and syllables are weighed differently than in the original Flesch Reading Ease Test, the two formulas are not directly compatible. The Lexile framework was developed by A. J. Stenner and Malbert Smith III in 1989 and funded by the National Institutes of Health. The framework is divided into two categories: A Lexile reading measure (what level the reader is at) and a Lexile text measure (the difficulty of a specific text). The Lexile framework is frequently used in schools. Unlike the Flesch formulas, the creators of the Lexile framework retained their intellectual property rights, meaning that educators must pay for their services. Readability is especially important to children’s books. Because their reading skills are still developing, giving children a book too far above their reading level can deter or confuse them. 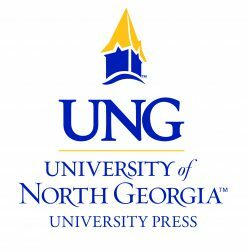 Most children’s books have a clear marker for what reading level it is on, though the ranking system can vary by publisher, such as Scholastic’s Guided Reading Levels. No matter what type of writing you are doing, keeping readability in mind will help aid your reader’s comprehension and understanding. If you’re a publisher, make sure that your readability levels match the industry’s standards. If you’re an author, make sure to keep your audience’s abilities in mind. 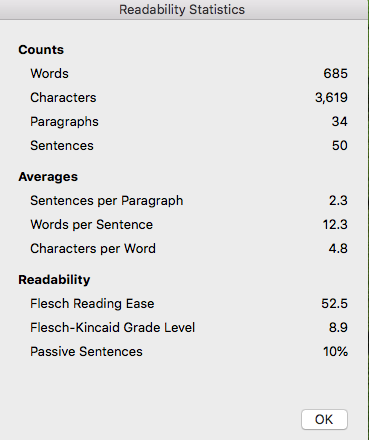 If using Microsoft Word, you can even check your readability statistics according to the Flesch scales. Under the Proofing option in Word, make sure to select “Check grammar with spelling.” After you run spell check, you’ll receive your readability statistics. For this article, our Flesch Reading Ease score is 52.5 and our Flesch-Kincaid Grade Level is 8.9. If you’re a parent, don’t be afraid to encourage your child to try a book above their reading level. Because of the factors measured, a more-adult book may have an ‘easier’ score. Sometimes, the punctuation used can change a score even if the actual text never changes. We don’t want to deny books to children, so if your little one wants to explore harder texts, encourage them. After all, there are amazing stories to discover at all reading levels. Interested in more great content? Follow us on Facebook, Twitter, and Instagram and find our complete catalog on our homepage.